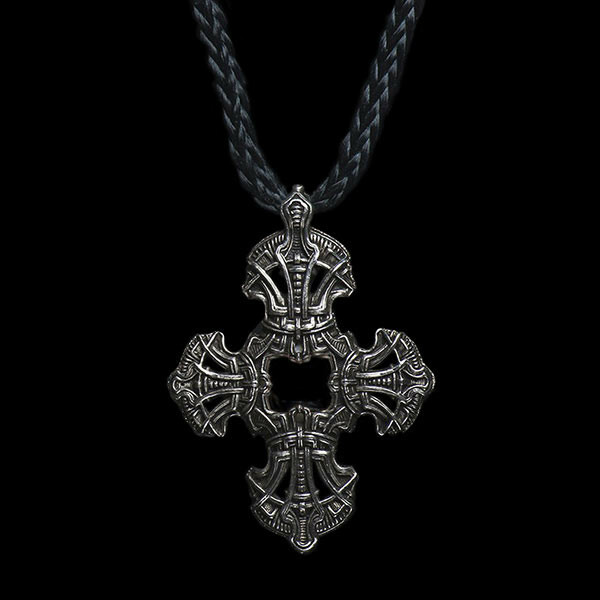 This Kells Cross pendant from William Henry's On The Neck collection is a work of art. Intricate details in the sterling silver surround a fossilized dinosaur bone on one side and a black onyx on the reverse side. A black kevlar cord drops this pendant perfectly on the chest. 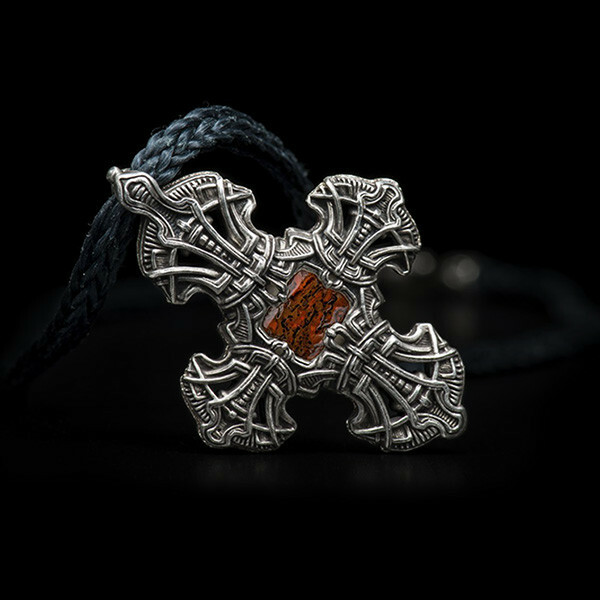 Whether you go with yin or yang, this William Henry pendant is a fantastic accent.